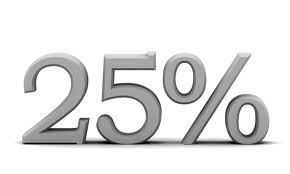 Who wouldn't want to make an instant return of 25% on part of their savings? Not everyone can, that's for sure - but I just have. Of course, it will come as no surprise that you will need to be a DIY Income Investor - in spirit, at least. First, you need to know that this is about pensions. Not for you - as I'm assuming that you will probably already be saving in a pension for yourself (and saving on your tax payments). But rather for someone in your family who doesn't pay tax. We've highlighted before how to legally avoid tax and one key way is to have a non-working partner, whose tax allowance you can use. An alternative is one of your children (who is not working). The trick (if you haven't guessed already) is that even if a person has no income (and therefore has not paid income tax), they will still receive a 20% refund of tax if they save in a pension. There is a limit to the government's generosity, of course - the amount saved in any year cannot exceed £3600. But the tax refund means that you only need to deposit £2880 (80% of £3600), meaning that you have made an instant profit of £720 - 25% by my calculation. If you deposit the payment in a low-cost electronic Self-Invested Personal Pension (eSIPP), you can manage the account in a very similar way to an online ISA (using the tips from the DIY Income Investor). The key restriction is that the money has to stay in the pension until they reach their 50s. That may or may not be a good thing. I already do this for my wife - and I'm thinking of doing the same for my kids - as a kind of legacy for their mature years. And you can do this every year. Worth the effort?